Of course this makes some degree of sense, since the Trash is not meant to be a place to store files, it’s where you remove files, and by having that limitation it could prevent accidentally working on a file that’s about to be deleted. 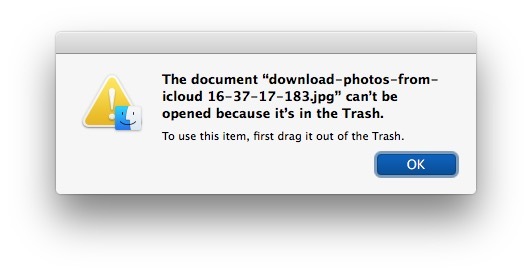 Where this inability to open files in Trash becomes an issue is when you are confirming that a file in Trash is what you actually want to delete. Fortunately, there’s a simple way to do that without moving a file from the Trash… Quick Look. In this case, to preview a file in the Trash without having to move it, simply open the Trash as usual, select the file, then hit the Spacebar to preview the file. 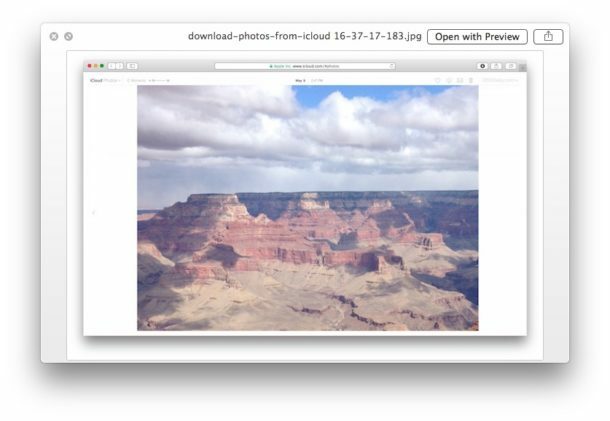 The Quick Look preview allows you to check out the file but you no longer have to drag files from the Trash to see what the file is (or isn’t). By the way, if you sent the file to the digital dumpster in error, you can undo moving a file to the Trash with the undo command. 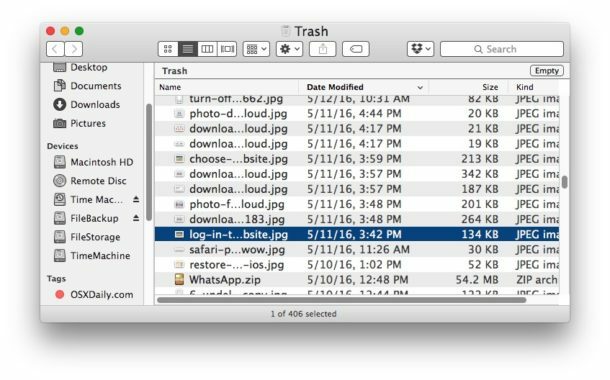 This is a simple trick that is based on how Quick Look works nearly everywhere else in Mac OS X, but it’s particularly useful for the Trash and when you’re tidying up a Mac, or about to empty the Trash and want to confirm that files are what you think they are. I don’t get what the point of this “tip” is. Pressing the spacebar on a file in the trash works the same as on a file not in the trash, to wit, it opens a quicklook view of it. Why is this a tip? Cmd-Y or spacebar works on any file to quickview, regardless of location. Thanks so much! I never knew I needed this ’til I tried it! This is going to come in very handy! 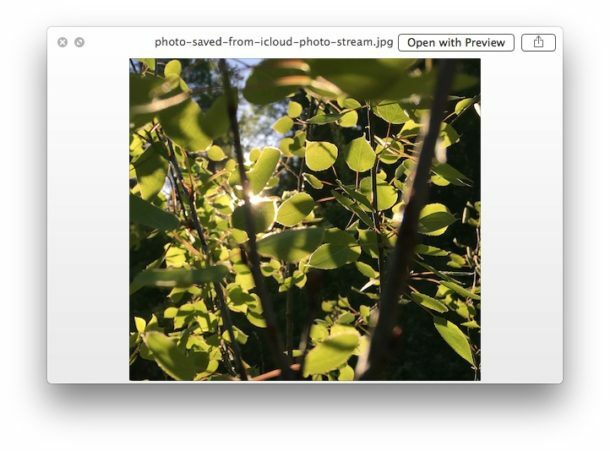 Quicklook is still one of my favorite features of OS X. It’s part of what makes a Mac what it is.